Delivering quality health care is one of the greatest challenges facing the next generation of business leaders. Meeting it, says Dartmouth president Jim Yong Kim, means harnessing the college's vast resources—including Tuck's management expertise. 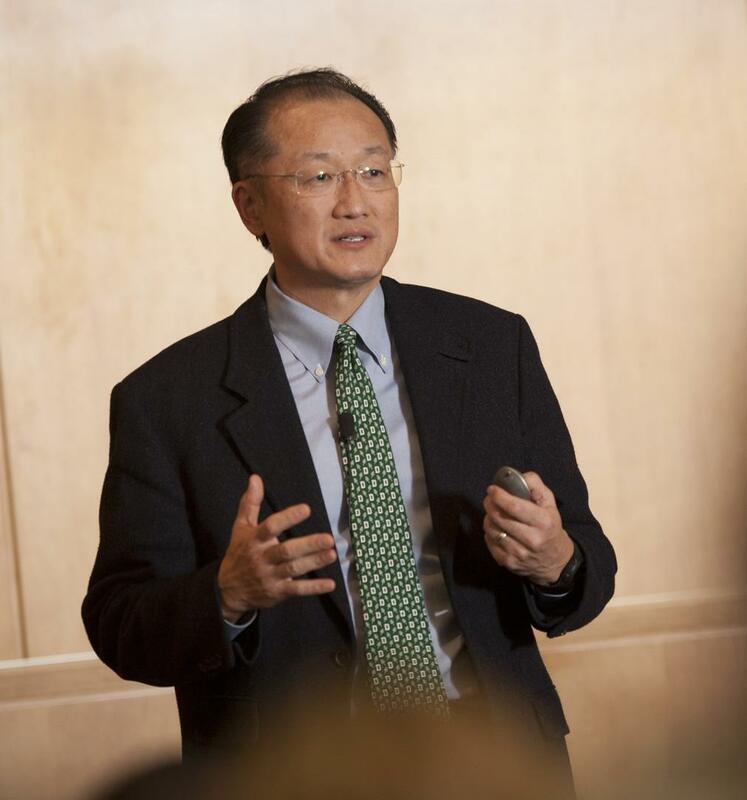 Before becoming the 17th president of Dartmouth College, Dr. Jim Yong Kim had helped broker deals with major pharmaceutical companies to make tuberculosis and AIDS drugs available at low cost in developing countries. The strategy saved tens of thousands of lives, proved a boon to the companies, and led Time magazine to name Kim, a 50-year-old medical doctor, anthropologist, and co-founder of the nongovernmental organization Partners in Health, as one of the world's 100 most influential people. Kim is a thought leader in the area of health care management and delivery and believes deeply in the power of cross-disciplinary cooperation. He sees the array of resources at Dartmouth, including first-rate business, medical, and engineering schools, as a powerful force in the effort to improve delivery of health care around the world. At his inauguration, he challenged the Dartmouth community to embrace this leadership role. Tuck has responded with renewed energy in its existing programs, as well as new initiatives to leverage Tuck's unique strengths with the specialties of the Dartmouth Institute for Health Policy and Clinical Practice (TDI), Dartmouth Medical School (DMS), and other college resources. "This is President Kim's deep expertise and his deep interest," says Tuck dean Paul Danos. "He's done this for years at the highest level, and now he wants to take Tuck's particular expertise, together with the science of health care outcomes available at TDI, to improve management of hospitals and clinics all over the world." Tuck can be a key driver in the effort to introduce the efficiency of well-run businesses into a field where good intentions are not always matched with good execution, Kim says. "I have been working to try to provide health care to poor people for a very long time, and poor people do not appreciate the fashionable activists who say all the right things but can't execute when it comes to delivering services," he says. Tuck has been increasing its focus on health care management for some time, but Kim's challenge has injected a palpable feeling of excitement and energy into the effort. The size and rapid growth of the health care sector, which now accounts for more than 17 percent of the U.S. economy, is also driving interest among faculty and students. Tuck launched an MD/MBA joint-degree program in cooperation with DMS in 1991, while the school's Healthcare Initiative prepares students to lead in the medical industry and related fields. The newest piece, still in the development and approval process, is a master's program for midcareer health care executives, to be offered by Dartmouth as a cooperative effort between Tuck and TDI. The new program will leverage Tuck's world-class management and leadership training with TDI's pioneering expertise in the science of measuring health care delivery and outcomes, Danos says. While the precise architecture of the program remains a work in progress, it will likely include distance-learning components in combination with the team-based residential learning that forms the bedrock of the Tuck experience. "This is aimed at people who are already managing health care operations, so we don't expect them to be here full-time the way an MBA student would be," Danos says. "But we do want to imbue the program with the same teamwork, camaraderie, and cooperation that you get in the Tuck MBA." Danos is hopeful that it can be offered next year, though he stresses that we must be certain that the integrated program will provide the best of Tuck and TDI. Senior Associate Dean Bob Hansen, Assistant Dean Steve Lubrano, and TDI Chief Operating Officer Vin Fusca are charged with managing the integration. "TDI can't do this by themselves because they are not experts in management, and Tuck can't do it alone because we are not experts in the health care industry," Hansen says. "We have to truly integrate the knowledge of our two faculties. That's the key challenge of this program as well as being the key to our distinction." Kim's leadership has energized the process, as have the two schools' complimentary strengths. Founded in 1988 as the Center for the Evaluative Clinical Sciences, TDI pioneered the statistical study of medical practices and outcomes. This research shed light on many aspects of health care, including the fact that more medical care, or more expensive care, does not necessarily mean better results. "I don't believe that anybody else teaches that kind of science," says Fusca. TDI's faculty has years of experience in measuring medical costs and outcomes, creating deep knowledge that is extraordinarily powerful in the hands of skilled managers. Since the new masters program will train executives already working in the health care field, it could have an immediate effect on the way health care is delivered in the United States and abroad. As those managers influence others, the efficiencies could multiply. And while the combination of Tuck management and TDI metrics is unique, Kim would be thrilled if other top universities follow Dartmouth's lead. "We're engaged in building curricula that will influence other institutions," he says. But the main thing is we have a great business school, a great TDI, and a great medical school. We can get together and create programs that hit at the heart of the problem here, which is half science and half management. While faculty at both Tuck and TDI continue to refine the program's details, they clearly are excited about its potential. "We envision it happening over an 18-month period," Hansen says. "The plan now is for four residential periods, and in those you're doing things that are really difficult to do at a distance. You're building camaraderie and colleagueship between the participants and teams and with the faculty as well." In keeping with Tuck's strong emphasis on action-learning projects, participants will work in teams to solve real organizational management issues, using what they learn from both Tuck and TDI faculty. Elements of Tuck's new leadership curriculum emphasizing peer coaching and self-awareness will likely be integrated into the program as well, he says. "We want to get the right mix of participants, working together on real projects. We'll combine Tuck management knowledge and pedagogy, TDI's research-based knowledge, leadership training, and action learning," he says. "That's a powerful program." All of this is possible because of the range of expertise within the Dartmouth community coupled with Kim's galvanizing leadership. "There are fewer barriers at Dartmouth to units working across disciplines so we have an advantage in that respect," Danos says. "But the main thing is we have a great business school, a great TDI, and a great medical school. We can get together and create programs that hit at the heart of the problem here, which is half science and half management." Health care has dominated the news cycle this year, and while politicians on both sides of the aisle wrangle and posture over health care reform, they all agree on one thing: Health care represents a huge and growing segment of the national and world economy. This is both a challenge and an opportunity for business leaders. "At the end of 2009, healthcare was 17.3 percent of our GDP, projected to grow to 19.3 by 2019," says Donald Conway MD, T'72, director of Tuck's Healthcare Initiative and co-director, with Professor Michael Zubkoff, of the MD/MBA program. Students are responding to those new opportunities. While approximately five to 10 percent of Tuck students will go to work for traditional health care companies, many more will work in other industries, but with responsibilities that demand a deep knowledge of health care. "They could be working for Morgan Stanley financing biotech, or consulting in the pharma space, the biotech space, or the health care space," Conway says. As part of the Healthcare Initiative, Tuck is launching five new courses, three of which began in the spring term. The offerings include an independent study for just a few students focused on the economics of health care, led by Hansen and lecturer Katy Milligan. Conway teaches a product-oriented course on the business of health care, and Dr. Steven Gillis, who earned his Ph.D. at Dartmouth and went on to found two multi-billion dollar biotech firms, teaches a course on contemporary issues in biotechnology, while Paul Gardent T'76 teaches the new Management of Health Care Organizations course. Tuck students are getting real-world experience as well, working in action-learning teams with Dartmouth-Hitchcock Medical Center, businesses in the Upper Valley, and as far afield as Tanzania. The term-long local projects are sponsored by hospitals and area businesses, and include a mix of students from Tuck, TDI, DMS, and the Thayer School of Engineering. A local business that enlisted the help of the program to improve its employee health programs received two project teams, says Gardent. "The first has been implementing employee health programs and the second has been working on how to measure success." These multidisciplinary teams provide a wonderful way for students to show their expertise and to expand their knowledge base, he says. "They learn from one another. You see how the mixture of these groups really improves the product that they come out with. The students tell us that the team members from other disciplines bring perspectives they hadn't appreciated, because they have been so enmeshed in their own professions." Echoing a refrain heard often from President Kim and Tuck faculty, Gardent says that Dartmouth is unique in its ability to foster interdisciplinary education, due to its relatively small size. "The silos aren't as high as they are in some universities and colleges, so we can really be world class in this area," he says. Departmental cross-pollination improves the quality of a Tuck education but it doesn't stop there. It also advances the scholarship within the faculty. Setting organizations on a path toward lasting success has been a central tenet of Kim's efforts with Partners in Health, the World Health Organization, and now as Dartmouth President. "I am an anthropologist, so I try to do an ethnography of management people across many sectors," Kim says. "And there are many people who say, 'Oh that's just business, and those guys don't care about people, they only care about profits." But I tell you: There are very few successful business people who don't care about people. Managing people is absolutely the key to having a successful business." 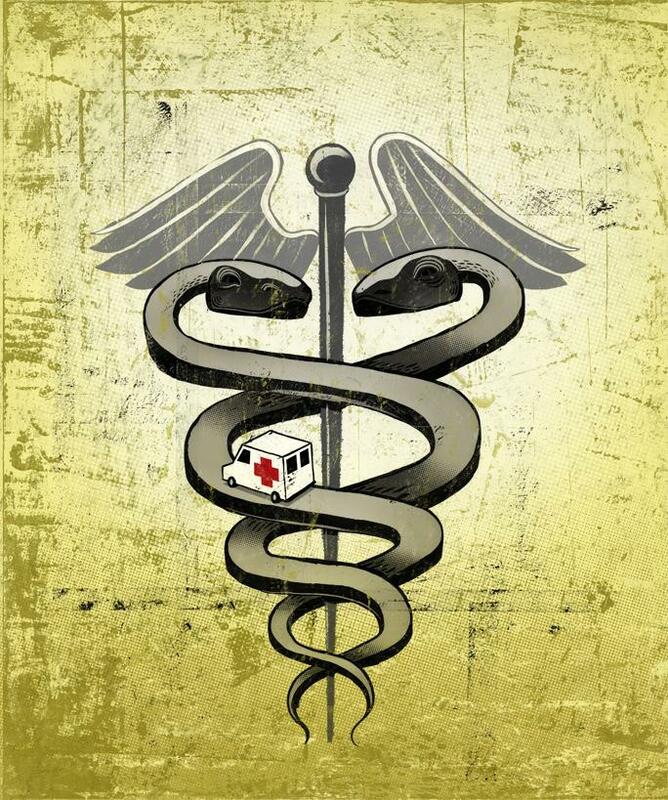 The key issue with health care delivery is the same as in any business endeavor: How to make complex institutions execute their stated goals. That holds true regardless of whether the stated goal is to make widgets and turn a profit, or to deliver life-saving tuberculosis medication to a population in need. "People have said, "we're all for this social goal, but we can't expect to be as efficient or effective as business because we care about people' I just don't think that distinction holds up," Kim says. "It's about outcome, not personal heroism. Tuck teaches that everyday." That doesn't necessarily mean imposing western-style corporate practices in places where they're not appropriate. "There are tremendous lessons to be learned from developing countries and this is something that [Tuck professor] Vijay Govindarajan is working on," Kim says. "The Aravind Eye hospital and BRAC in Bangladesh are two of the most effective organizations I have ever seen. The lessons from how they have handled their almost purely pro-social goals are tremendously useful to us in Hanover, and probably useful to even the best businesses." When a devastating earthquake struck Haiti in January, Partners in Health immediately became the largest provider of medical relief in the stricken country because its clinics stood up as other medical facilities were reduced to rubble. "We built Partners in Health to last as an organization, and we also built the buildings to last," Kim says. "We used steel rebar. We used good quality concrete and didn't mix it with sand." Seventy-two hours after the quake, Partners in Health and Dartmouth doctors were operating in the clinics. The organization now provides health care for more than half the population of Haiti. "We have always focused on execution,"Kim says. Tuck students are learning the importance of that approach every day. Jessica Morgan is an MD/MBA candidate who will graduate in June. Her goal is to work with a global health NGO after graduation, and initially couldn't wait to get into the field and start contributing. But a summer internship with the Medicines for Malaria venture in Geneva gave her a slightly different perspective, Conway says. "She found that the most effective leaders in the organization were those with a business background. She saw the benefit of the private sector to sharpen those skills, and then apply it to global health," says Conway. As we confront daunting health are challenges in the developed and developing world, it's reassuring to know that Tuck and the greater Dartmouth community are working to give thousands of young people the skill and perspective that Jessica Morgan received. "One of the most rewarding things as an educator is seeing your students going out and doing incredible things," Hansen says. "So being able to teach health care professionals, and then watch them go out and change their organizations to better the world, that would be very cool."